WHO WILL RID ME OF THIS TURBULENT JOURNALIST? Runaway Scotsman Brian Goudie furiously blogged “I’m innocent” from hiding yesterday but remained reluctant to let a court decide. He has yet to face a court to tell judges so. In fact he has yet to face a court in any of the cases he has brought or which have been brought against him. It appears this fake barrister may have an allergy to gavels and gowns. 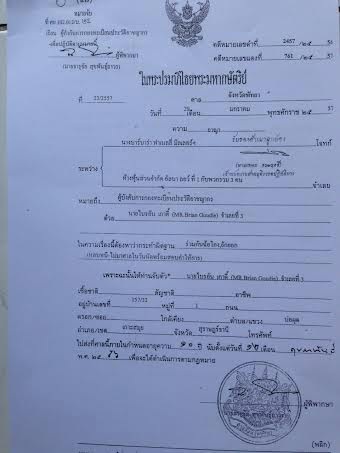 Meanwhile the Pattaya Provincial Court circulated a warrant for his arrest describing him as a convict. A second warrant has also been issued for his arrest on a charge of second fraud. 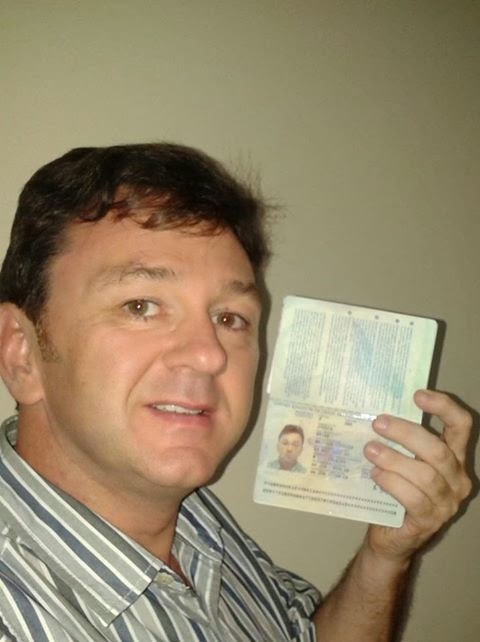 Claiming to be in Koh Samui the errant fake British barrister blogged from Bangkok that he was bored having to deal with journalist Andrew Drummond, who remains hot on his trail. But this, above, is the warrant for his arrest. If you spot him just point him out to the nearest cop.